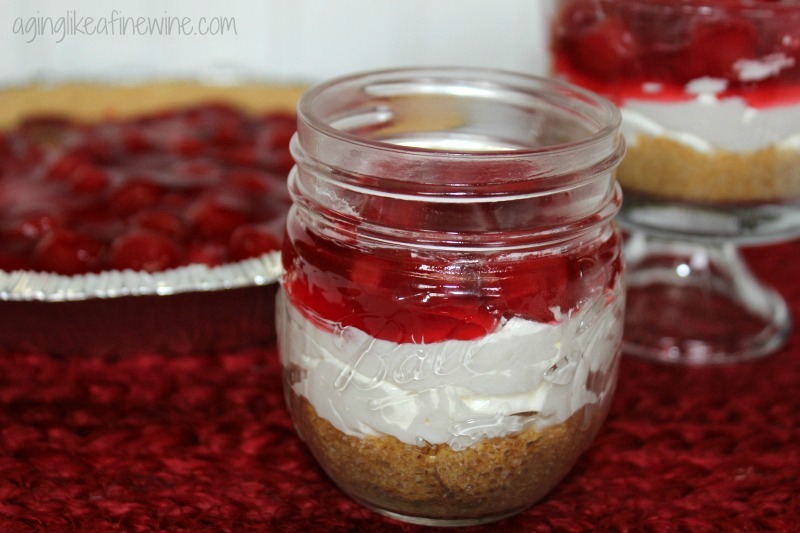 It looks pretty and is a creamy, flavorful treat in the pie crust, but I think it adds such a special touch to place it in a small fancy canning jar or a pretty dessert dish! 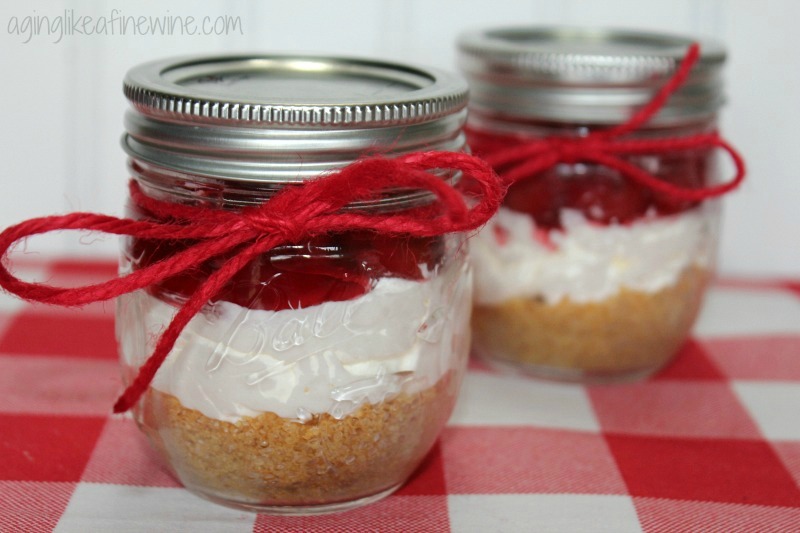 Make your family or friends feel extra special by assembling their cherry cream cheese pie in a pretty dessert dish or small canning jar. Tart cherries are a natural source of melatonin, which is a naturally occurring hormone that helps to regulate the body’s circadian rhythms and sleep patterns. For a better night sleep, try sipping cherry juice concentrate as an alternative to melatonin supplements. Tart cherries contain chemicals that are very effective pain relievers; possibly better than aspirin and ibuprofen. Sweet cherries are rich in beta-carotene, vitamin C, anthocyanins and quercetin, which may work together synergistically to fight cancer. Sweet cherries are loaded with potassium, a natural blood-pressure reducer. One cup of these ruby gems pack roughly the same amount of potassium as a small banana and also boasts some quercetin, an antioxidant that may help keep blood vessels relaxed and supple. The anthocyanins in tart cherries activate a molecule that helps rev up fat burning and decrease fat storage. Cherries have the highest antioxidant level of any fruit. Antioxidants help the body fight the free radicals that make us look old. Drinking one glass of tart cherry juice daily slows down the aging process. The flavonoids and carotenoids found in cherries are very effective in improving the efficiency of the brain and improving memory. Those who are afraid of having a dull brain and a low memory capacity in their old age, start eating cherries! The flavonoids in cherries are not only responsible for the deep red color of cherries, but also its cancer-fighting abilities. Antioxidants like Cyanidin may help the body rid itself of free radicals and prevent cancerous cells from growing out of control. Choose sweet cherries with a purple tone for the most anthocyanins. Not that we need a reason to eat cherries, but it’s good to know about their health benefits. Of course, nice natural, fresh organic cherries are the most healthy. 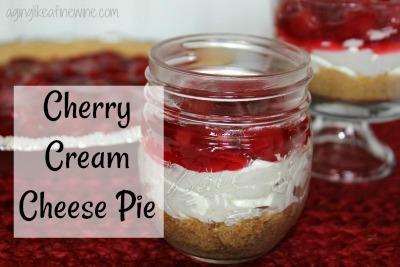 Check out another easy and delicious cherry recipe; “Cherry Delight“! What is your favorite recipe that includes cherries? I can eat cherry pie filling right out of the can. This sounds so simple and easy to put together can’t wait to make it. Very simple and more and more that’s the kind of recipe I want! And it is delicious. Thank you for stopping by Victoria! 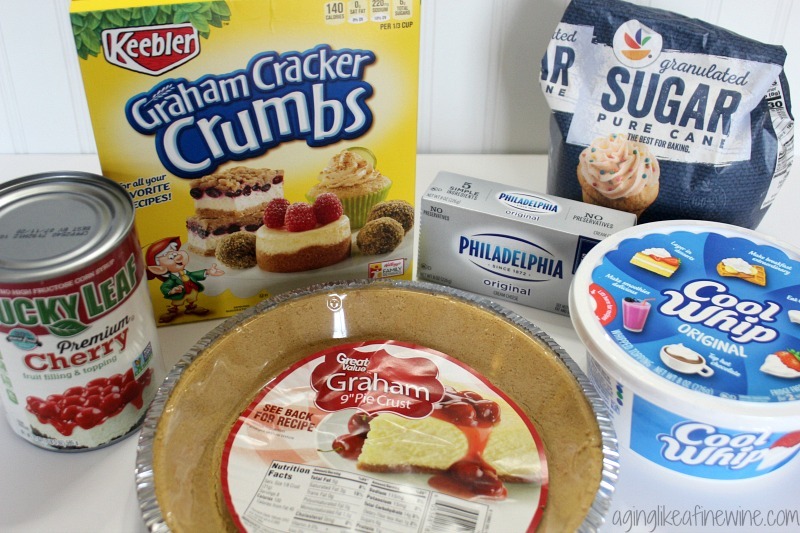 Thank you for featuring my cherry cream cheese pie! It’s such an honor!! Thank you so much, Dee, for hosting and sharing! Oh My Gosh! That looks delicious, and its pretty! I can’t wait to make this! We love both cherry and blueberry pie filling and I will be making this one very soon! Thank you! It would be great with blueberry pie filling too.